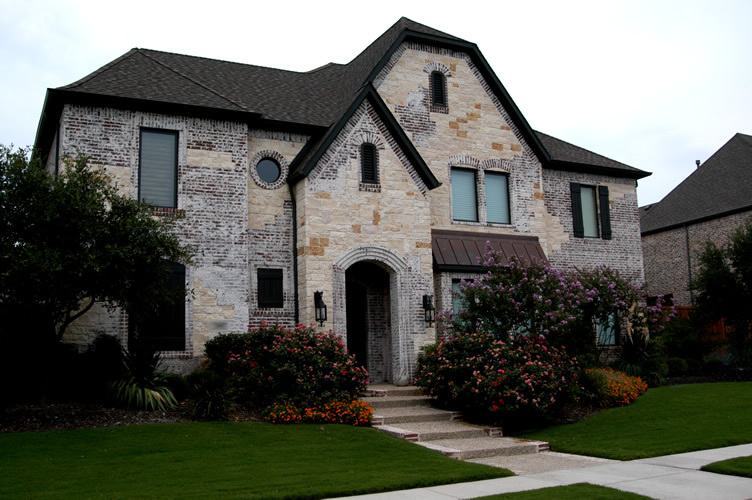 Part of designing the front elevation of your home is making your selection of brick, mortar stone, stucco, and wood. 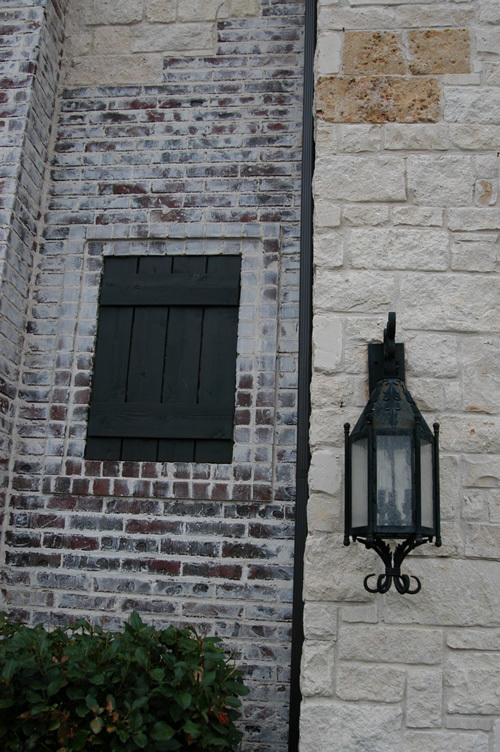 Our home uses no wood paneling, only brick, stone and stucco. We made this choice to lessen the maintenance required. 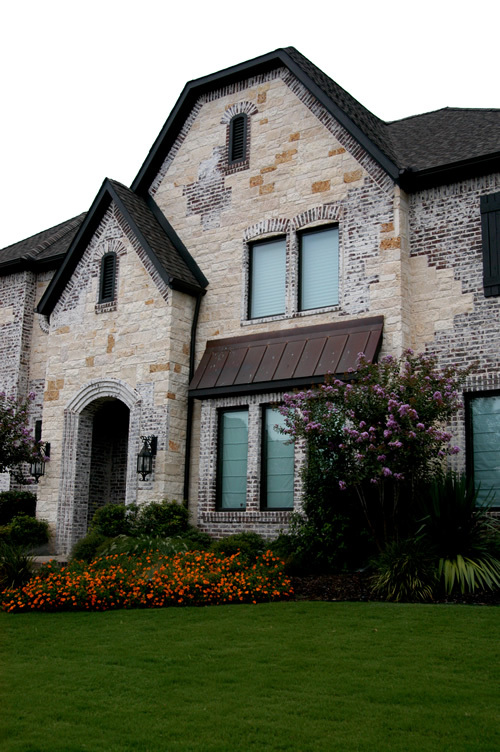 The easiest way to make these choices is to drive around town and fine some combinations that you like on existing homes. Take along a Polaroid camera and snap some shots of the front elevations that you like. Make sure you write the address on the photo so that you can find it again. The photos rarely do the home justice. 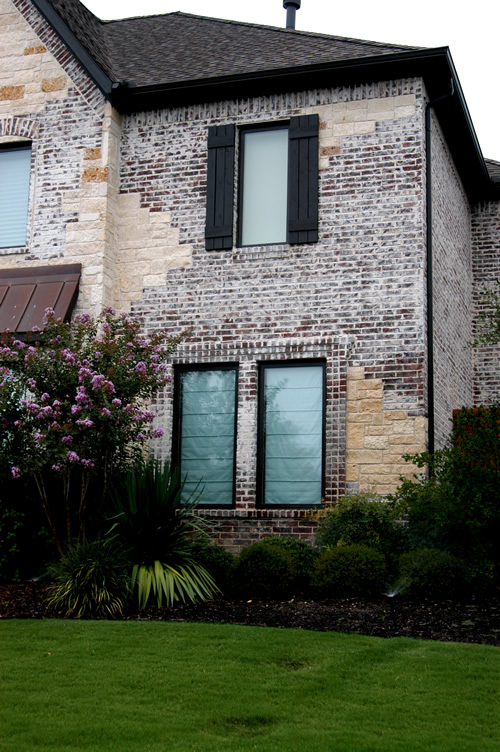 Did you know that mortar can make up 20% of the brick wall's surface? 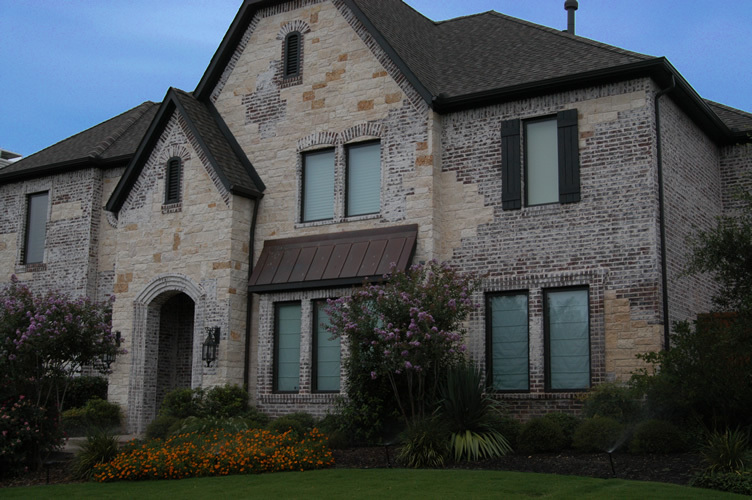 That is why it is important to choose a brick color and a mortar color. 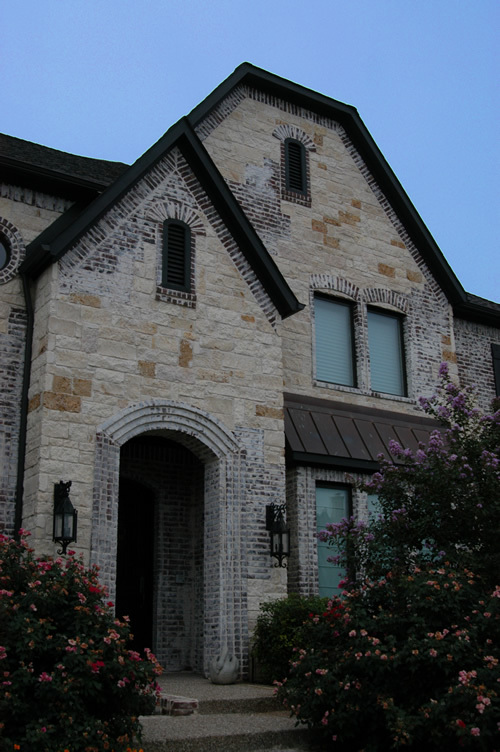 For our home, we used a Austin Stone and a reddish-brown brick with a sandy-colored mortar. 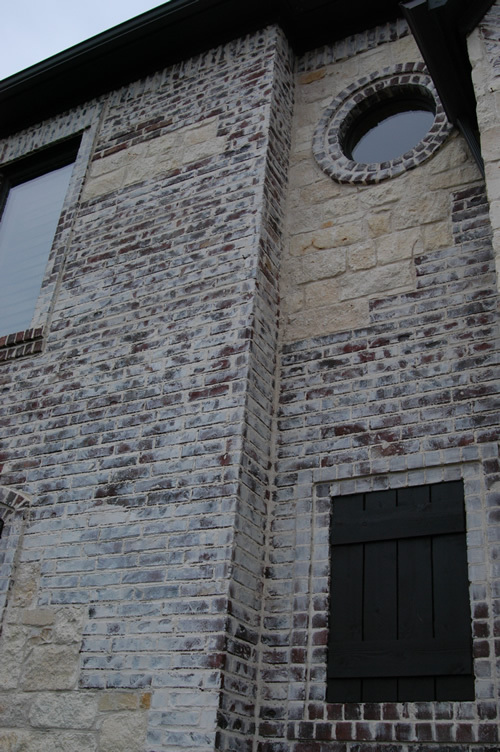 We had the mason slop extra mortar on the brick to give it a messy look. We didn't worry a great deal about getting the color of the brick exactly right since we were going to be covering so much of it with mortar. We also used large sections of stone and brick to give the wall a look of a bombed out building that was patched back together with available materials. 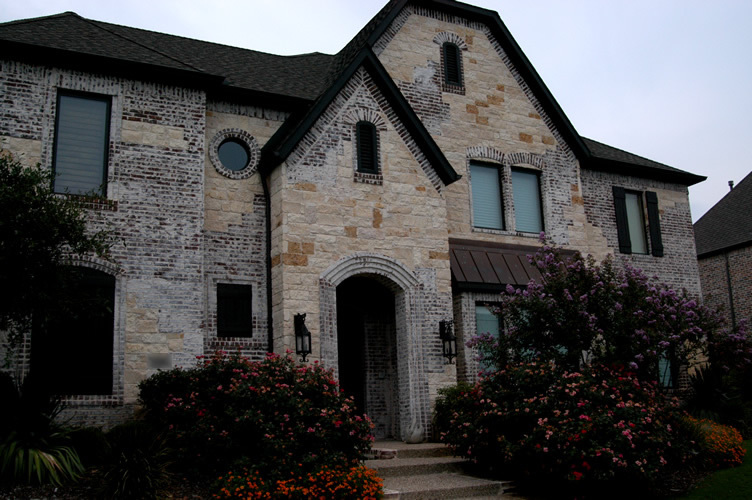 In some locations where the stone and brick touch, we covered the brick with so much mortar that it is hard to tell whether you are looking at brick or stone. 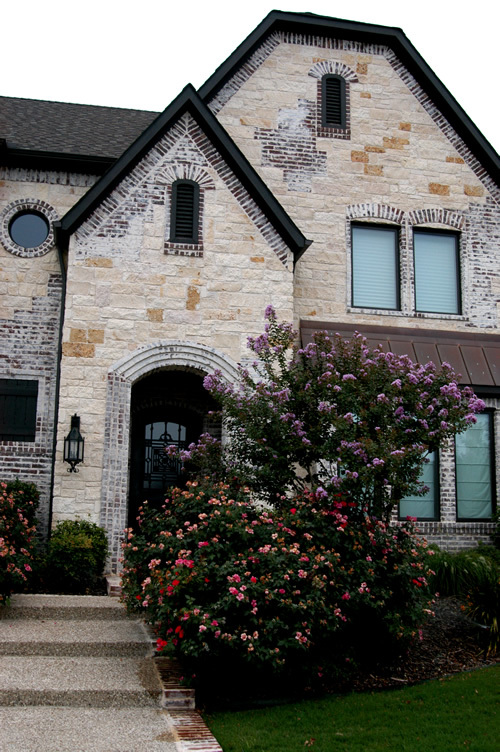 Many homes in the neighborhood used brick and stone combinations, but they might have a 15' x 15' section of brick with a little round 2' x 2' section of stone in the middle. Frankly, it looked rather contrived. Instead, we might have a 15' x 15' section of brick/stone with a 6' x 2' or 4' x 8' section of stone/brick on one corner. Click on the thumbnails to load the full-sized pictures in another window.